Stand Up Paddle racing is growing like crazy in Europe, with races in just about every country across the continent. While the SUP Race Cup was happening in France this weekend, over in Spain, the Federación Cántabra de Surf (Cantabrian Surf Federation) was hosting the second event of its SUP racing series, the II Deep SUP Race Noja Escapada. All the action happened in the Cantabrian capital of Santander on Saturday (26th May). 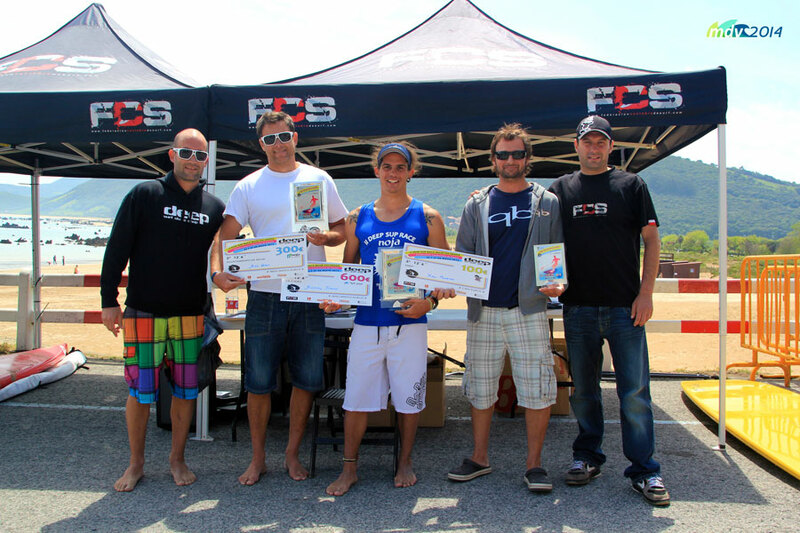 The race is part of the Spanish Championship tour and therefore drew plenty of the country’s best SUP racers. Plus there was the added incentive of €1,600 prize money up for grabs. The course was 8km long and victory went to one of Spain’s best known SUP racers Roman Frejo in a time of 55 minutes 38 seconds, while Barbara De La Maza took out the women’s race. Check out the winners below and take a look at our calendar for a full list of Stand Up Paddle Races in Europe. 1st: Barbara DE LA MAZA.